So, just when you thought this week couldn’t get any more heartbreaking and depressing than Blake Shelton divorcing Miranda Lambert, or Taylor Swift feuding with Nicki Minaj, the world slapped me in the face with a big pile of “STOP LOOKING AT THE INTERNET AND DO YOUR JOB, MEG” with an equally depressing sports scandal. Let me back up for a moment though. The biggest sports decision in the history of sports decisions was when LeBron James’ decided to leave Cleveland to go to Miami and win a bunch of titles, but he failed and then decided to return to Cleveland to win a title but then he failed at that, too. Well, if you thought that was a doozy, what happened today was, like, way bigger. The news that is burning up the internet streets right now is that Tom Brady’s suspension was upheld and he will not be allowed to play in the first four games of the 2015 NFL season. Basically, whoever’s job it is to figure out which celebrities smash their phones at inopportune moments to hide evidence is really good at it, because apparently, Mr. Brady is totes guilty of breaking his cellular device in favor of saving our precious eyeballs from seeing some incriminating information. But, I think we’re all missing the point here. Whether or not Tommy Boy likes his balls a little lighter on the inside is dumb, I think there’s a bigger issue here that we’re all glancing over. And that issue is that Tom Brady doesn’t just smash a phone over deflated balls, he smashes his phone over the mountains of more important stuff kept on that device. Now, let me clarify that these are all suppositions, I’m sure I’m at least 89% accurate with my assumptions of Tom’s personal affinities, but I do want to go on the record and say that, I’m also most likely 89% incorrect with all of what I’m about to tell you. Remember this? Or this? What about this? Some would say the Tom Brady man bun was the man’s modern day Rachel. 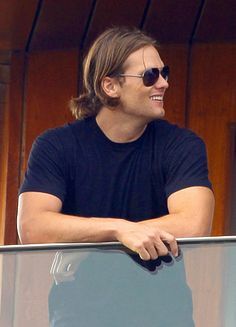 He definitely has a trove of pictures documenting that time so can can periodically reminisce about the time he grew his hair out and bothered everyone by unintentionally taking a firm stance against society’s sexist tendencies in associating ponytails and buns with only females by metaphorically screaming, “EFF YOU, WORLD, I’M TOM BRADY, I DO WHAT I WANT. Google is your friend, your confidant, your Jesus. If you don’t have a safe place to ask the hard hitting questions like, “Is a pea what is on the inside of a green bean?” or “How do whales sleep?” without judgment or ridicule, then nothing is sacred anymore. If there’s anything the most All-American man in football doesn’t want authorities seeing on his phone it’s that he listened to ABBA’s “Dancing Queen” on repeat during his pregame warmup on the night of the Super Bowl. If you won four Super Bowls but you have an android phone, did you actually win four Super Bowls? The answer is no. You did not win four Super Bowls because having an android phone means you’re actually a loser. And losers don’t win Super Bowls. They just don’t. 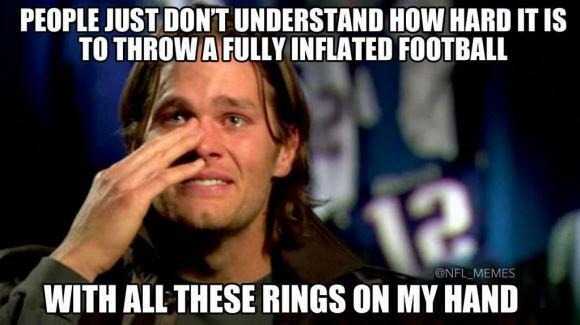 Tom Brady is a superior human, he’s legitimately better than everyone at everything. He can’t let the public know that he googles pictures of baby animals on bus rides or screen shots cat memes and sends them to Gisele while he’s on the road. It would blow his whole image. … and yes, if you couldn’t tell, I’m a Patriots fan and frankly, this whole ordeal IS OUTRAGEOUS AND I’M GOING TO THROW A TEMPER TANTRUM. Plausible? Yes. Factual? Probably not. Let me know what you think was on Tommy’s phone in the comments!